Classical liberalism emerged as a radical ideology, challenging the status quo of monarchy, mercantilism, religious tyranny, and the ancien regime. The liberals promoted two ideals, markets and democracy, as alternatives to the old despotisms. Yet markets and democracy seemed to be at odds, leaving liberals advocating a middle of the road compromise between the two. Left-liberals favored a broader role for democracy and a narrower role for markets, while right-liberals (more often called conservatives or libertarians) favored a broader role for markets and a narrower role for democracy. Across the spectrum, they agreed that democracy and markets were at odds to at least some extent. This left an opening for radicals to propose radicalizing the commitment to one liberal ideal by abolishing the other. Most famously, socialists proposed abolishing the market and replacing it with radical democratic control over the economy. Anarchists joined in as well. 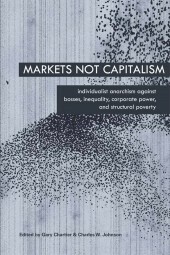 Many anarcho-communists joined the call to embrace radical democracy by jettisoning markets. On the opposite extreme, many anarcho-capitalists proposed radicalizing our commitment to markets by abolishing democracy. 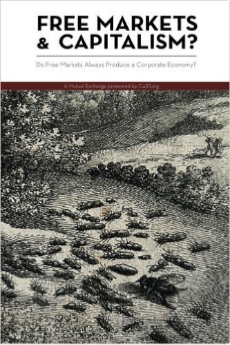 Economist Don Lavoie, in his essay “Democracy, Markets, and the Legal Order1,” proposes a different way of defining democracy and markets, so that they are complementary rather than at odds. The tension between democracy and markets stems from viewing democracy as involving votes on either how a coercive government will be run or direct votes on social outcomes (such as resource distributions). When activities operate through the market, they are to some degree immunized from interference by democratic states, and they do not have their outcomes determined directly through votes by community members. 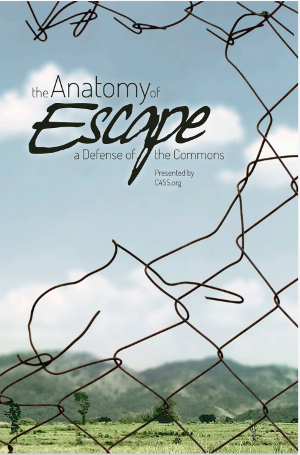 Lavoie proposes an alternative definition, in which democracy is characterized by openness. Moreover, Lavoie proposes an approach that does not treat democracy as a centralized process. “Our politics needs to move beyond the model of the exercise of some kind of unified, conscious democratic will and understand democratic processes as distributed throughout the political culture,” he explains. In Lavoie’s framework, democracy is not something expressed through a state with a monopoly on the use of force, or through elections to decide what such a state will do. Instead, democracy occurs through open discourse, debate, contestation, and interaction among citizens. To borrow a concept from the Ostroms, democracy rightly understood is polycentric rather than monocentric. At protest marches, leftist activists often chant “Tell me what democracy looks like!” to which their comrades respond “This is what democracy looks like!” In a sense, they are right. Protests reflect people with various views expressing their opinions in the open. They reflect a society in which contestation is possible to at least some degree. And it is telling that even formally democratic states send police officers to bludgeon, beat, and otherwise violently repress protesters and the journalists who report on them. If democracy is characterized by openness, then the ballot box is not the epitome of democracy. Instead, democracy is defined by those who, from the bottom up, contribute to an open society. People who film police and expose their crimes do this. Journalists who investigate powerful people, debate ideas, and keep the free press alive embody democracy. Tell me what democracy looks like? It looks like whistleblowers such as Edward Snowden, Chelsea Manning, John Kiriakou, and Daniel Ellsberg making the state’s previously secret crimes public. 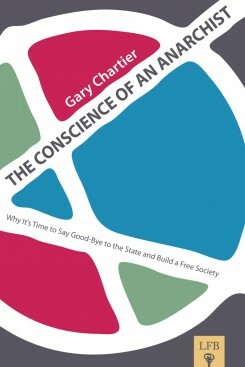 “Liberals cannot resolve the issue of whether a legal system could be supplied by a free market because the issue depends on what is happening in the political culture, in the ongoing discourses about mutual rights and obligations, which individualist liberalism, in both limited-government and anarchist versions, utterly ignores. Radical liberals have been so intent on establishing a universal system of individual rights that they have failed to address the cultural conditions in which socialized individuals would demand this or that kind of legal services. Lavoie makes an excellent point here, and one that underscores the need for what Charles W. Johnson has called “thick libertarianism2.” As Johnson notes, the thin core of libertarianism tells us something important: namely that aggression is wrong, and that force is only justified in defense of persons or property. But there are related “thick” commitments that are important for instantiating the non-aggression principle in the real world. Lavoie’s work shows us that some of these thick commitments are likely to relate to openness and political culture. The anarchism I advocate entails abolishing the state. But that is not all it entails. Instead, my anarchism is a radicalization of liberalism: both liberalism’s commitment to markets and its commitment to democracy. Markets enable individuals to freely associate, provide incentives that align our self-interest with the interests of others, and coordinate social cooperation among diverse individuals with dispersed knowledge. Democracy, or a society characterized by openness, empowers individuals to debate, share their knowledge, persuade one another, and learn from one another. As Lavoie shows us, democracy and markets do not need to be at odds. Instead, they can represent two sides of the same coin, two mechanisms for a society to engage in decentralized processes of experimentation and error correction. 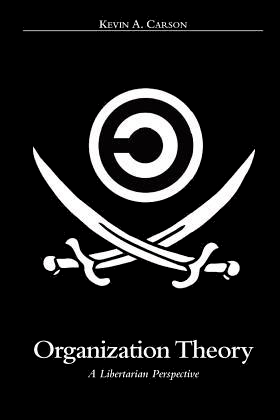 Anarchism is democracy radicalized, not in the sense of direct democracy, federated worker cooperatives, or council communism, but in the sense of an open society freed from the shackles of the state. (1) Lavoie, Don. “Democracy, Markets, and the Legal Order: Notes on the Nature of Politics in a Radically Liberal Society.” Social Philosophy and Policy 10, no. 2 (July 1993): 103–20. doi:10.1017/S0265052500004167. (2) Johnson, Charles. “Libertarianism Through Thick and Thin.” Foundation for Economic Education, July 1, 2008. https://fee.org/articles/libertarianism-through-thick-and-thin/.